The Music Industry is constantly changing. Songwriters are being forced to agree to bad publishing deals, Artists are being financially ruined by 360 label deals, and Record Labels are loosing money in a collapsing market. As a result Musicians seem to be at the bottom of the food chain. We are being bought out of recording sessions instead of getting backend. We are being squeezed into lower and lower weekly salaries. It seems the days of 10-20k a week tour salaries are indeed long gone even for the biggest A-list artists in the world. How did this happen? Why? The sad truth is the musician community is part of the problem instead of the solution. Because of the competitive nature of this business there is always someone willing to do more for less - in some cases for free! From a business perspective management, record labels, and artists will always be trying to get contracted work for as cheap as possible. Who can blame them when they are being squeezed by our dwindling market. 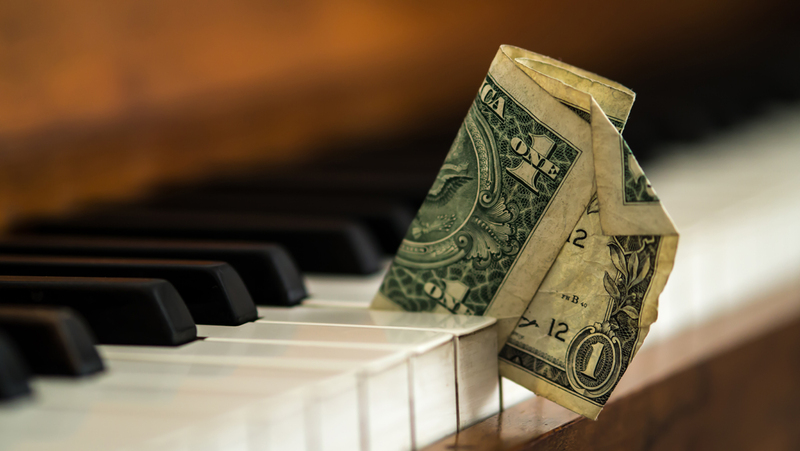 With an abundant supply of musicians how is it possible to hold to your standards and make a living solely on music? The truth is every professional musician you see making a living with music knows when to take their losses for the sake of making a connection. A loss financially sure, but a single connection from a gig can provide more wins that the loss. In an industry built on connections it is always important to do favors as long as it doesn’t affect your value. Always make it known that you are doing a favor and that the client always knows your actual value. Unfortunately in this business you set your own value so it has to make sense for you. The first step is making connections before even talking about money. You can’t talk money without offers right?! A client (management, artist, label, etc.) browses your profile, they like what they see, but they don’t think you aren’t the right fit for their current opportunity. They don’t call you and you don’t get the gig.. You move on. A few months later the client gets another opportunity. They remember your profile! Rather than even posting the gig they go onto their Musician Casting account and see your past submission and call you. You got the gig! More importantly you made a connection to someone who may get you a lifetime of work in the future. We see this happen ALL THE TIME. Either this or that client gets a call from another clients looking for talent and recommends you from seeing your profile! Opportunity is everywhere. Some of the smallest connections can lead to the biggest opportunities!